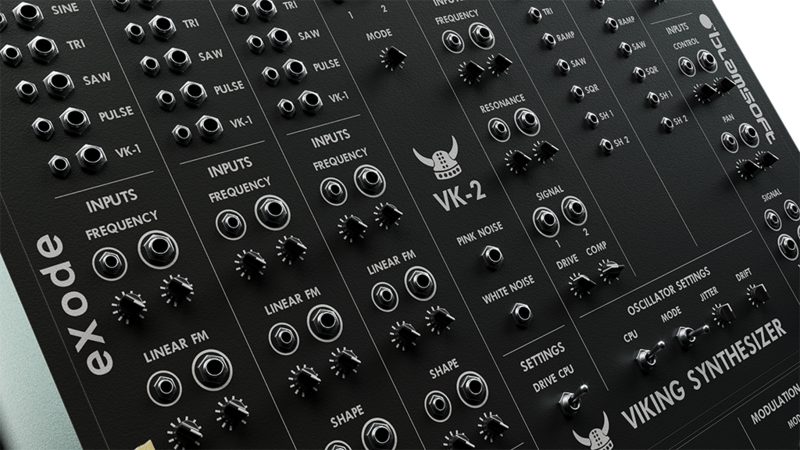 VK-2 brings you the power of a modular synthesizer, without the hassle of cables. All of the individual synthesis components can be freely routed giving you ultimate power and flexibility. Throughout the device there are DSP enhancements that add analog realism to the sound, from the accurate modular waveforms, to the modeled CP-3 mixer clipping, to the Zero Delay Feedback filter section. 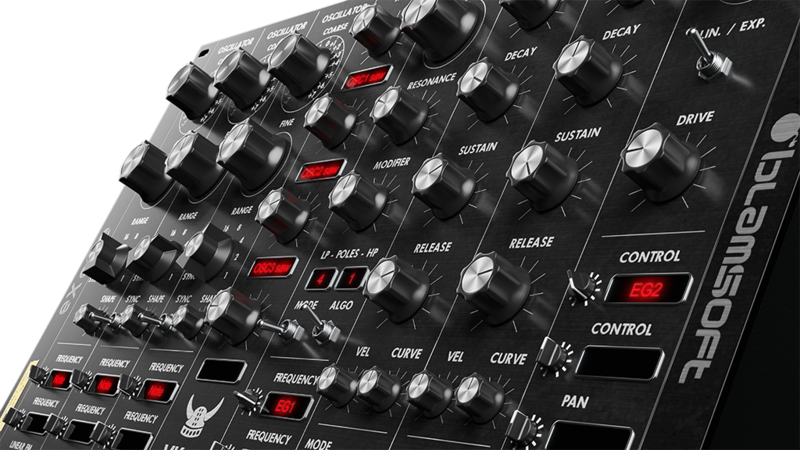 You can also just as easily use VK-2 as a mean sounding hardwired analog synth in the default configuration. VK-2’s modular routing is done with displays at each controllable parameter in the device. All modulation in VK-2 is audio rate, freeing you to get your creative routing juices flowing. At the end of the signal chain, pristine effects polish your sound to perfection. At the heart of VK-2 are three analog modeled oscillators that produce a rich meaty sound, ready for filtering. The waveforms were carefully crafted to exactly match the 921 and Mini oscillators without aliasing. Clean waveforms are there as well. The continuously variable shape from VK-1 is available to keep you in familiar territory. There is also a Linear FM input on each oscillator, adding a dimension to the oscillator capabilities not found in VK-1. To top it off, there is alias-free hard and reverse sync on oscillators 2 and 3. VK-2’s filter is a classic 4-pole ladder topology. The filter is a modern Zero Delay Feedback design with tweakable saturation, resonance compensation, number of poles, and quality. The modes from VK-1 are available, plus a notch mode. You can dial in your sound, from mildly juicy to passion fruit smoothie. Five high quality onboard effects take VK-2 to the next level in terms of sound design capabilities. Chorus, Phaser, Distortion, Delay, and Reverb are all available. The effects can be re-ordered in any way you like. The effects section uses the new capabilities of SDK 2.5 allowing changeable panels with different knob configurations. These effects allow you to put the icing on the cake without having to go outside the box. The factory sound bank for VK-2 was designed by the top Reason sound designers. Exode, Speo, Aiyn Zahev, Tom Pritchard, Navi Retlav Studio, and Quixotic Sound Design all add their unique style to the bank. The result is 650 unique presets ranging from vintage, to modern, to tweakhead. This includes a large selection of Combinators, letting VK-2 shine as a modular component. VK-2 has plenty of gems throughout the design. Clipping modeled from the CP-3 mixer is one of a variety of drive modes in the mixer and amp. The envelopes have adjustable curvature. There is up to four voice unison to thicken up the mix. The default patch is wired up like a typical analog synth, no need to fuss around if you just want a basic synth. The DSP code is a completely new, nothing from VK-1 was reused, giving you the latest innovations in DSP. Almost every signal in the device can be accessed through a jack on the back. Once you’re familiar with VK-2, you can take it’s modular flexibility to the next level by wiring up Combinators that fully utilize Reason’s back of the rack. With industry leading DSP and audio rate modulation, VK-2 can be quite CPU hungry. There are several switches that allow you to turn down the quality of individual algorithms. VK-2 is designed for recent desktop computers. Own VK-1? 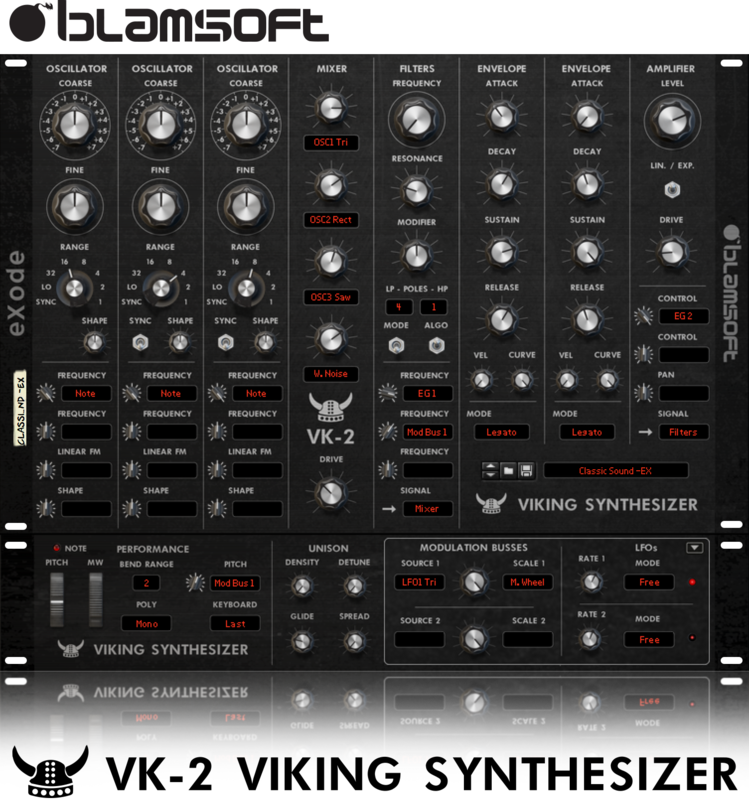 VK-2 is a unique new synth in the Viking family. Here is what VK-2 offers that is not available in VK-1. 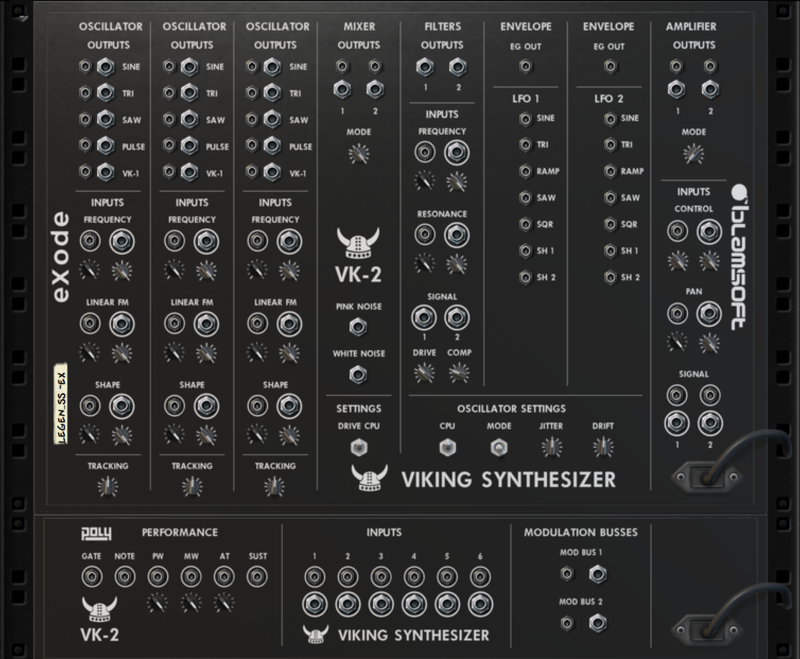 VK-2 Viking Synthesizer brings you modular synthesis, with all of the fun and none of the hassle. You’ll soon be creating modular patches like a pro without leaving the comforts of your own computer. And most importantly, you’ll be getting the authentic sound of a modular. Give it a try for yourself. VK-2 is now available for free trial and purchase in the Propellerhead Shop.